Tuesday night's finale of Jill and Jessa: Counting On will feature the Duggar sisters together again in El Salvador, where Jill is currently serving as a missionary with her husband, Derick Dillard. 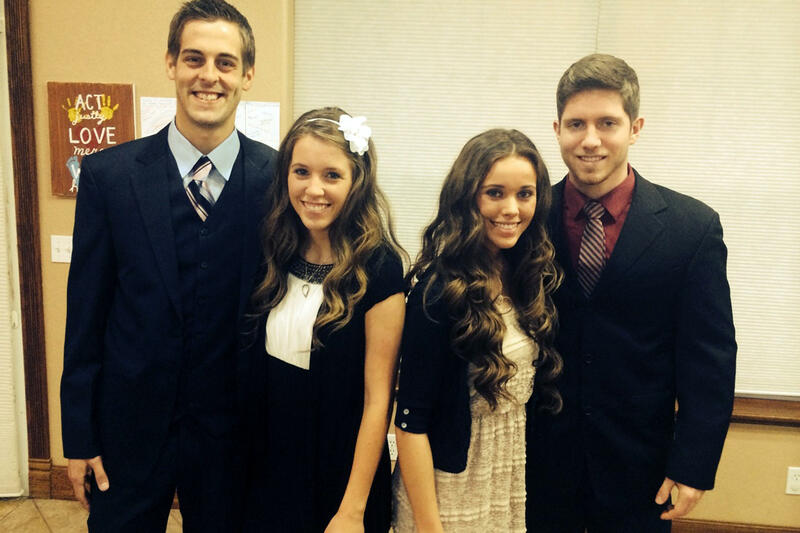 Even though she was happy to see her sister, Jessa (Duggar) Seewald admits that she was scared to travel to Central America with her infant son Spurgeon. In the preview clip, Jill and Jessa are preparing to host a women's event as part of their ministry, and Jessa is really getting what a different way of life it is from living in the states. She says that she's loving the visit with her sister and brother-in-law, but also, "It's not easy -- I'll just say that. It's difficult." She explained, "There's a lot of violence here. You have to be careful about the water that you drink. There are all kinds of snakes and scorpions and tarantulas and cougars! And just a lot of things that could worry you, especially as a mom." In a recent episode, we also learned that even basic necessities can be hard to come by -- especially for babies. Jessa and Ben had to pack all the diapers, wipes, and other essential baby items that they were going to need, since there's no way to just run to a supermarket or Target in the rural area where Jill and Derick are living. At the end of the day, Jill says that no matter where you go in the world, women are women, and we're all going to share similar struggles, especially when it comes to motherhood and raising our kids. Thankfully, not all of us have to deal with cougars in the backyard.